Did I Miss My Dog's Season? 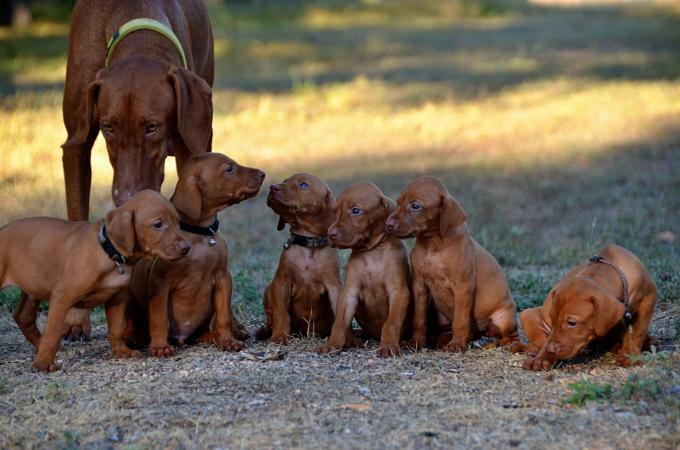 Dog breeding and pregnancy are important topics that many dog owners want to learn more about. Wise dog owners learn as much as they can about breeding so they can be responsible while keeping their dog's health a top priority. Whether this is your first dog or you are more experienced, you may have questions relating to breeding or your dog's pregnancy. Every dog is different, so it is good to learn as much as possible about what could happen as well as what should happen. Sometimes a pregnancy is not part of the plan, but it still occurs. What concerns will you have? Are you worried about an accidental inbreeding? Do you know how soon you can tell if your dog is really pregnant? Is a c-section safe for your dog? You'll find the answers to these and more important questions, right here. If you are considering breeding your dog or you have questions about breeding, you'll find plenty of helpful information. Learn about a dog's heat cycle and symptoms as well as what to expect during pregnancy.Perhaps you want to prevent a breeding in the first place. Or maybe you need to learn more about mating dogs. You've come to the right place. If your dog is pregnant you probably have a lot of questions. Learn about the common symptoms of pregnancy, false pregnancy and what happens during gestation.Whatever your questions or concerns, you'll find the help you need. Check back regularly as more useful information is added to this category. Educate yourself, and you can feel more confident about being the best dog owner you can be. You'll also be better prepared for dog breeding and pregnancy if the situation ever arises.